When you think of ways to use technology in your home, you probably think of hands-free toilets, app-controlled HVAC systems and mind-reading toaster ovens. (Well, you'd at least think of a mind-reading toaster oven, right?) Fabrics may not come to mind—and why would they? The technology behind refining and weaving cotton, wool and linen is so old-hat as to barely register as technology at all. But fabrics can be high-tech, and you can use them in your home, not just outdoors or upholstering spacecraft seating. Case in point: Perennials. 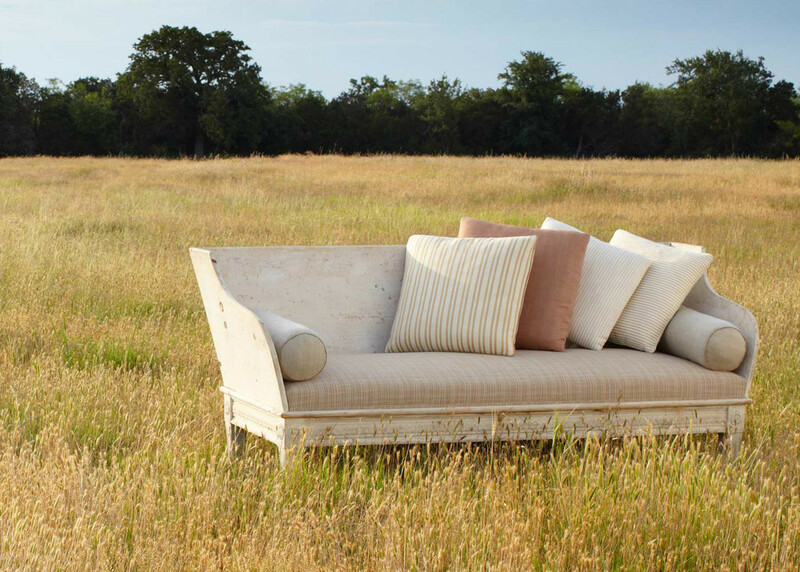 Perennials indoor/outdoor fabrics are 100% solution-dyed acrylics. At first glance, that sentence might seem intimidating. (It intimidated me.) "Synthetic" is a dirty word in my house, where washed linen reigns supreme. But my interest in the company was piqued when I saw their Rose Tarlow collection, executed in the designer's hallmark subtle hues. A good stripe was on my mind, and when I saw Alessandra Branca use the line's Tatton Stripe in her Harbour Island project, I knew I had to give it a shot. The pattern was traditional but versatile, quiet but not boring. 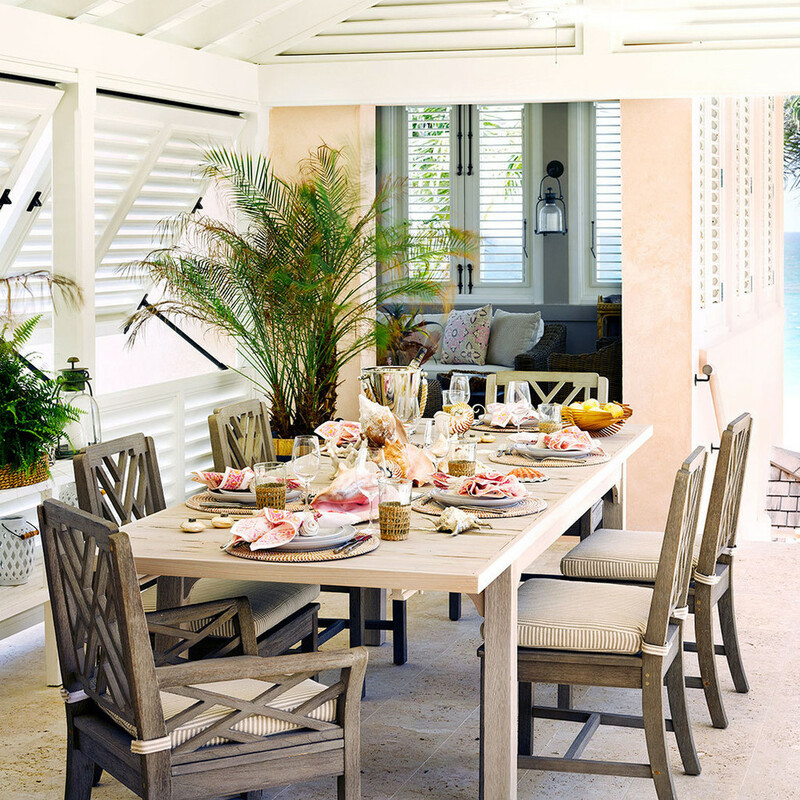 (A detail from an Alessandra Branca-designed Harbour Island home shows the fabric used dining chair cushions. "Designers have increasingly brought Perennials indoors," notes Tim Shaw, Director of Marketing for the brand. 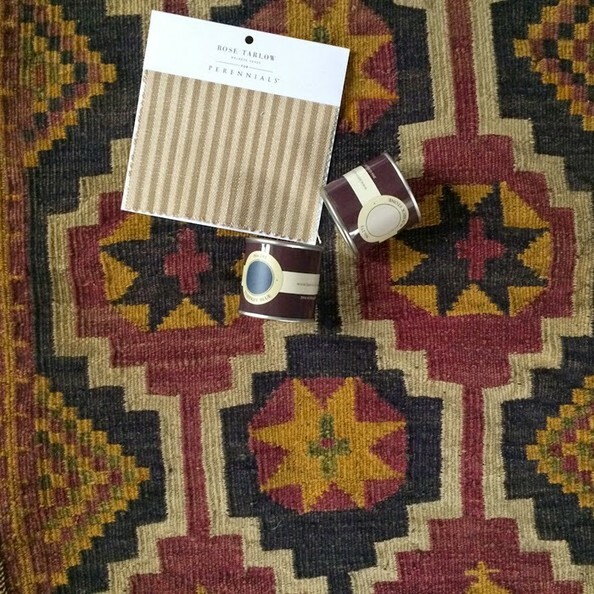 "They resist stains and are easy to clean and maintain so they are perfect for indoor upholstery and drapery. I personally have Perennials fabrics exposed to constant sunlight and at four years, they still match a cut of the new fabric." Perfect for drapery? 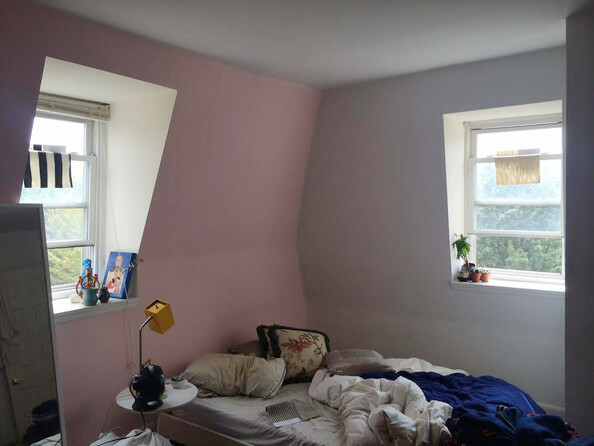 Exposed to constant sunlight without fading? Seems I'd found the perfect option for my window treatments. I called in a sample of Tatton Stripe in Paper Bag, as well as a few other options from the Rose Tarlow and other Perennials' collections for comparison. In the end, I sprang for Tatton Stripes, of which Perennials was kind enough to send over just the right amount of yardage for two roman shades. (About four yards, if you're in the market.) What won me over was the pattern's complexity. When drawn, the shades filter light into my room with a striated effect; there are subtle variations in the texture and the hand is lightweight with a pleasingly rough-hewn quality, owing to the solution-dyed acrylic fiber's resemblance to cotton. 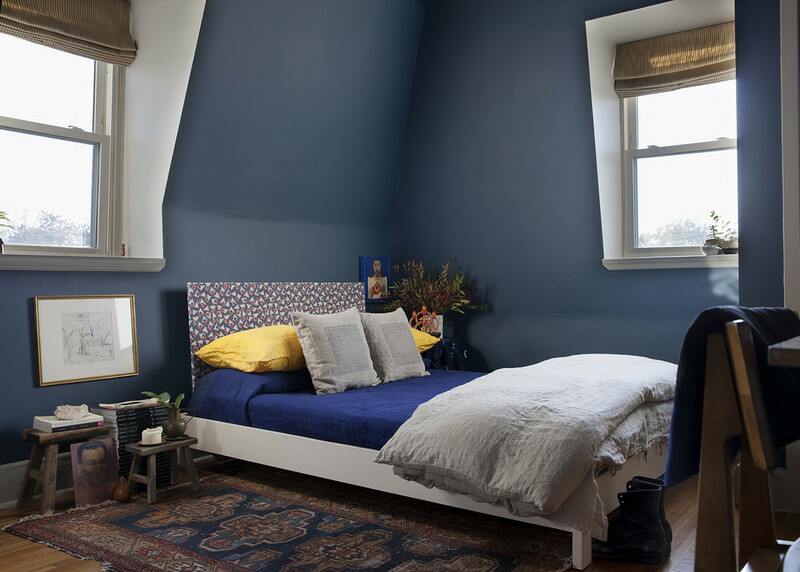 The color perfectly complements my bedroom hue, Farrow & Ball's Stiffkey Blue, and I know it'll stay that way thanks to the polymer fiber's natural resistance to ultraviolet light. The moral of the story: Don't judge a fabric by its makeup. (Though it doesn't hurt to judge it by its well-heeled progenitor.) And when you think tech, try to think outside the box.